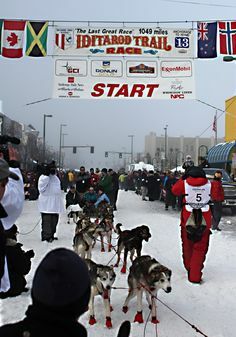 The shortest route is the one where the athlete who runs the bend run as close to the line as possible. If these bend runners run in the centre of their lanes, they are running 4 metres further, if they run on the outside edge of their lanes they are running 8 metres further. If the bend runners thus run on the inside they must hold the baton in their right hand and pass to the second and fourth runners, to their left hand. The second and fourth runners will thus run in the centre of their lanes because they loose nothing on the straights. The correct way to run a relay is then right handed, then left, then right and then left handed again. Which athletes in which position? Most schools run their fastest runners last, but you can not make up 6 to 10 metres when the team is behind. If the last runner runs a time of 10.9 seconds and is 10 metres behind the athletes at the back must run at least 9.8 seconds which is then impossible to make up. This athlete may already have run the 100, 200 of even a 400 metre or hurdles as well as other events and will then be tired. The schools now puts too much pressure on their best runner. If all the schools run their best sprinters last how can the province let their relay win when they have no athletes who have take the baton in the other hand or are not used to running around the bend. First runner: A very good starter who will never get disqualified (especially with the new rule of no false starts) and who is very fast over the 60 to 80 metres. This athlete will now hand over the baton to the second athlete, as close to the back mark of 90 metres. Your team will then hand over the baton first. Second runner: The fastest sprinter of the group, who takes over, 10 metres before the 300 metre, and hands over right at the end, 10 metres ahead of the 200 metre mark. The fastest runner will run 120 metres. 10 metres past the 200 metre mark and passes it 10 metres back (110 metres mark). The slowest athlete thus runs only 80 metres. It is not so easy to catch a flat out slower runner over 80 metres. Last runner: The last runner receives the baton as close to the 110 metre mark as possible and must be the fighter in the team. If you have an athlete who does not want to lose and wants to run, he/she will let no one pass. Try and let your team lead at the 250 metre mark. With four runners with times of 10.9/11.4/11.5/11.9, the team will score at least 0.8 seconds with a flat out pass. Thus, the four times are 45.7 total time. 3 changeovers = 2.4 = 43.3 relay. See what you can score with correct relay running. On the toolbar, click Safari. Then, click Preferences. In the Preferences window, select General. In the text box next to Home page, simply type www.msn.com.